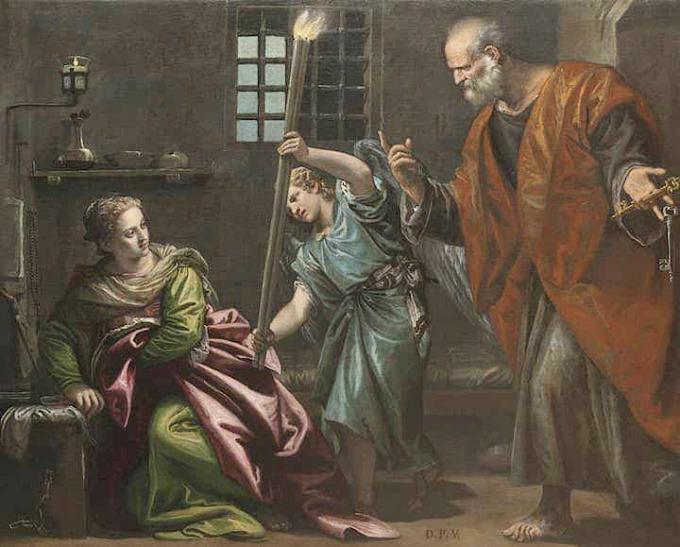 On February 5, the Church remembers the witness of Saint Agatha, who was killed because she would not deny her faith in Christ during the reign of the Roman emperor Decius (around 251 AD). Biographical details in regards to Saint Agatha have been distilled over time into legend. Accounts of her testimony to the Church's faith include that, having dedicated herself to Christ as a virgin, she angered a would-be suitor, who reported her to the imperial authorities and accused her of being a member of a seditious sect called the Church. She never wavered in her profession of the Church's faith. What will history say about those of us, Christians, who were safe and secure? What were our concerns? Redecorating our sanctuaries so as to conform to consumer expectations? Making sure our faith-based initiatives were generously endowed with surplus wealth? Quibbling about how to "modernize" and remain "relevant"? Will it be said of us that while our brothers and sisters in Christ were crucified, that we were distracting ourselves with a pseudo-Christianity that we created to serve our needs and that demanded little or no sacrifice and no real cross? These are hard questions to ask and even harder question to come to terms with. Pope Francis has repeatedly denounced what he calls a "self-referential Church" one that has "turned in on itself." The spin given to this in the media is usually that there is corruption in the Church's hierarchy that needs to be rooted out or that the Church has to modernize its outdated views so as to conform to secular prejudices. This is such a distortion, and it is simply a way we use to defer asking ourselves the hard questions about our own relationship with Jesus Christ--whether or not we take the Gospel's insistence on repentance seriously, or maybe are just playing with our religion or using it for our own benefit. It is easier to position the pope on the side of our causes than to actually listen to what he is saying. 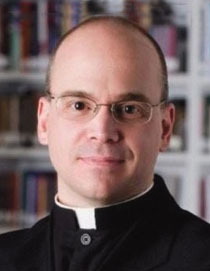 Father Steve Grunow is a priest of the Archdiocese of Chicago. He serves as CEO and Executive Producer for Bishop Robert Barron’s Word On Fire Catholic Ministries. He writes on theology, movies, and popular culture for the Word on Fire blog.